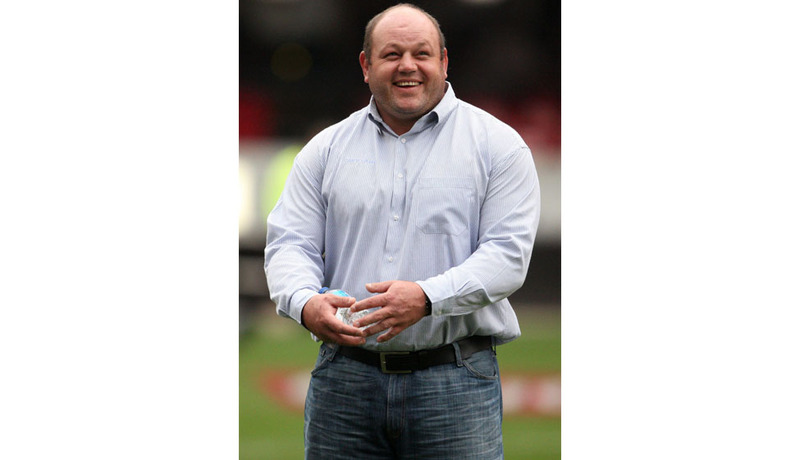 Born 8 September 1972 in Elliot, South Africa, du Randt made his first appearance for the Springboks in October 1994 against Argentina in a 42–22 victory, and he was a member of the 1995 World Cup squad, playing at loosehead prop in the final against New Zealand when South Africa won 15–12. Du Randt continued to be a key member of the Boks in the following years, and was named by Rugby World magazine as the second-best loosehead of all time in 1999. However, in 2000, at the age of 27, Du Randt suffered injuries that kept him out of rugby for nearly three years. In 2003, Du Randt received a phone call from former Springboks flanker and teammate Rassie Erasmus, who was coaching the Free State provincial team. The invitation did the trick, and Du Randt agreed to give it another shot. Then in 2004, after an age-defying return to form in domestic play, du Randt was recalled to the Boks by new coach Jake White. He proved to be a key player in the Boks' 2004 revival, which saw them win the Tri Nations and be named as the IRB World Team of the Year. "When I returned to rugby in 2003, it was to play for Free State and Free State alone," he recalled. "I didn't think I would wear the Springbok shirt again, ever in my life. When Jake White, the national coach, gave me the opportunity to play for my country once more, it felt like the first time all over again. I took some criticism in the media. There was a lot of stuff going around – most of it about me being too old. In 2004, he received his 50th cap for the Springboks in a 32–16 loss to England at Twickenham. It was however, not to be a day to remember for him as, "du Randt was dismantled in the scrum, lock, stock and barrel, by England's Julian White". Droning chants of "Os...Os" have become commonplace at South African match venues since the big man made his return to Bok rugby. Following victories in pool play over England, Manu Samoa, and Tonga and a quarter-final win over Fiji and semi-final victory against Argentina, du Randt and his South African teammates found themselves in a rematch against defending champions England in the final. The favoured Springboks dethroned England 15–6 in a hard-fought final, with Os playing all 80 minutes which included one bullocking run in the first half. Du Randt was the last active member of the South African 1995 Rugby World Cup-winning squad and retired as South Africa's third most-capped player ever and most-capped forward. He missed the 2003 tournament through injury but his comeback to help lead the Springboks to the 2007 Rugby World Cup is a fairy tale achievement. When interviewed, du Randt said "I would have to say that I never thought I would bow out in a World Cup final, when I called it a day in 2000. To begin with a world title and to finish with another would be a real accomplishment, a memory that I will cherish for ever. I dedicate this to my best friend, Alex." When questioned about his teammate, fellow Springbok prop CJ van der Linde said "Os is a legend in South African rugby. Even little children know who he is. His name will be mentioned for many years still," Van der Linde said. "We do not realise what impact he makes. One day, when he is old, we will know what great work he did for South Africa and what a leader he was." Following the victory in the 2007 Rugby World Cup Final, Os announced his international retirement from the Springboks.